We long ago lost track of all the multinational banks and investment fleeing London as Brexit (very slowly) approaches. But in case you didn’t know, Brexit means Brexit, darn it! It also means a lot of new expat career opportunities in Frankfurt, Amsterdam, Luxembourg City and Paris. The New York Times has a detailed post about how Brexit has already happened for a lot of financial firms as 275 financial institutions move staff to the European Union. 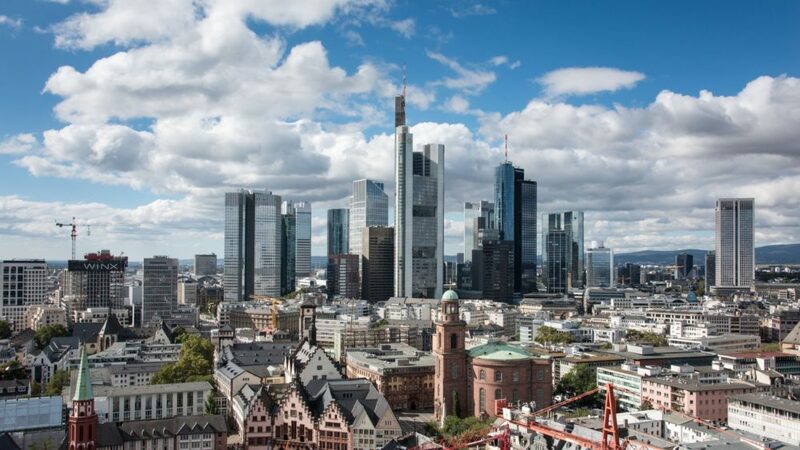 This is our second post about Frankfurt because Frankfurt Main Finance projects more than 10,000 jobs could move to Frankfurt by 2022. Hundreds of “Zero Day” jobs have already left in preparation for Brexit so firms don’t hit the regulatory wall when the United Kingdom no longer has cross-border trading and clearing rights in the European Union. That’s not to say it’s all rainbows and unicorns. Deutsche Bank and Commerzbank are talking merger, a merger that could wipe out 30,000 jobs, mostly in Frankfurt. But there are still a lot of great career opportunities in finance for highly skilled internationals, especially if you speak fluent German. That would include Britain’s own Barclays PLC. Not surprisingly given the shift to the Continent, we notice a lot of banks are looking for execs to deal with regulatory compliance … every bank on this list, as a matter of fact. This job entails providing guidance to Barclay’s Markets business in regard to rules and regs. The person will work with the bank’s Dublin Head Office, the London Office and other European offices “on a day to day basis to discuss specifically Markets Compliance related issues and exchange local expertise with other stakeholders,” according to the careers website. • from 4 to 7 years of compliance or regulatory experience in financial services, preferably with an international investment bank or law firm. • a degree and the bank would really like it to be a law degree. • experience with the range of products and services offered global investment banks with a focus on sales and trading issues in fixed income. • an understanding of securities laws, rules and regulations in Germany and across the EU/Switzerland. • an ability to anticipate what’s coming in terms of new regs. You can apply here on the website. Note: Barclays’ website is buggy. When we checked the links, the job came up as “no longer available.” But when we went to the main careers page, it’s still listed. It was just posted on 5 April. • a Master’s degree in a quantitative field (physics, mathematics, statistics, finance, computer science, etc.) with 4-plus years of relevant experience. • less experience will be considered for candidates with higher academic qualifications and/or certifications such as a PhD, a second Master’s or your Certified Financial Analyst certification (CFA). • great math skills in calculus, linear algebra, statistical analysis and modeling. • solid writing skills. Publications in peer-reviewed journals are a plus. • Programming skills: in C/C++, Python, Matlab, SAS, R, Java, Oracle and SQL. • Managing model risk across the model lifecycle including model validation, ongoing performance evaluation and annual model reviews. • Presenting model validation findings to senior management and supervisory authorities. • Representing the bank in interactions with regulatory agencies, as required. • Assessing and quantify model risk due to model limitations to inform stakeholders of their risk profile and development of compensating controls. This giant Manhattan-based investment bank has posted at least four or five new positions just since our first post in January. Goldman has several positions in Frankfurt that – while it would be a plus – don’t require German fluency. Another compliance position! But Goldman of all banks seeks to avoid the cross-border pitfalls of moving capital. • investigate, surveil and monitor for compliance risks and breaches. which sounds kind of exciting if there’s such a thing as an exciting job in finance. • provide compliance advice to the firm’s businesses across the EMEA region. • language skills are a plus. Otherwise, the qualifications are nebulous, such as “an authoritative manner” and the ability to build client relations. JP Morgan Chase has never announced its plan for Frankfurt, though there’s been lots of speculation. The Financial Times quotes anonymous sources saying 200 to 300 jobs will move various hubs in the EU. We noticed they have 21 jobs open in Frankfurt, up from 18 when we last posted. This is senior leadership VP level position is tasked with anticipating and solving tech problems. • Bachelor’s degree in technology related area preferred OR 10-plus years of related technology experience including at the senior staff level, working with multiple technologies and complex, large scale, cross-functional project / production / service delivery, preferably in the financial services industry. The No. 6 American bank ranked by deposits and a major investment bank, is sending several hundred jobs to Frankfurt. This is yet another job related to banking regs. You can apply on the website here. Stay tuned because next time, we’ll have a list of opportunities in Dublin.